Xiaomi's sub-brand Redmi is all set to launch Redmi Note 7 Pro after the successful launch of Redmi Note 7. But now, Redmi's CEO says that they have another phone in the making that will be powered by Snapdragon 855 and will likely launch this year. Lu Weibing made the confirmation today via a Weibo post featuring a photo of himself and some crew members at the parent company’s Shenzhen R&D Institute where they had discussions on the future of the brand and its upcoming devices. 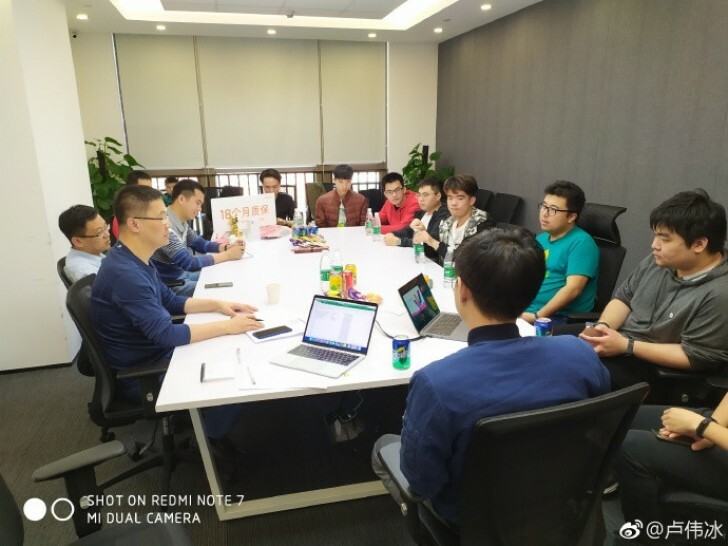 The focus of the meeting was Redmi Note 7 pro and upcoming SD-855 powered phone. No further details have been provided about the phone, but it confirms that Redmi is stepping up its Smartphone game.